Named Accounts – Individual credit limits are assigned to each of your clients according to your coverage needs. Discretionary credit limit (DCL) – This is a blanket cover for the majority of your clients with lower credit limit needs. Coverage under the DCL may or may not need to be qualified according to credit management practices. Non Qualifying Limit – in order to make the policy more economical, typically very small outstanding amounts would not fall under the policy cover. Key Account Policy – This is a “named accounts” cover only policy with no discretionary credit limit. This type of policy typically covers the largest accounts or a segment of your portfolio. These policies provide a targeted approach and usually protect against larger potential losses. Single Risk Policy – This type of policy covers one specific buyer and is typically used for very high concentration or for new large potential sales opportunities. Multi-markets or Export Only – clients outside of the US can be covered exclusively or together with domestic buyers. 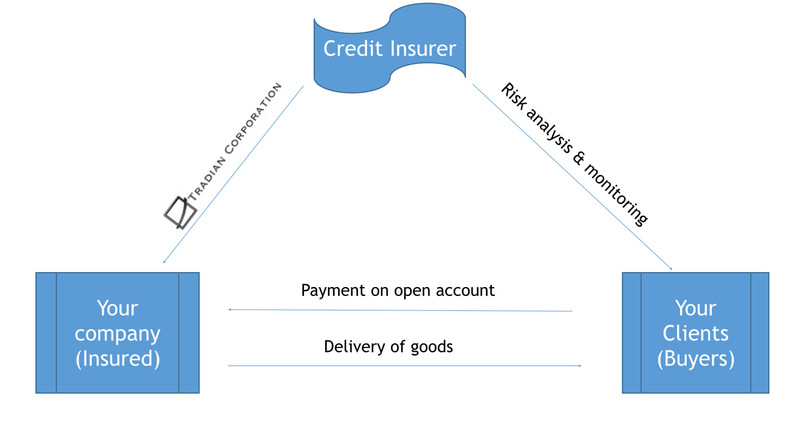 Credit insurers will take into consideration the country risk, industry risk, and buyer risk. Political risk, meaning prevention of payment due to certain political events or cover on foreign sovereign buyers may also be covered. Cancelable vs. Non-Cancelable Cover – Cancelable limits are monitored by the credit insurer and may be reduced or cancelled during the life of the policy. For larger policyholders with sophisticated credit management practices in place, non-cancelable limits are also possible. Under this structure, the insurer relies on the policyholder to monitor the risk.